City councilors are poised tonight to sign off on spending $2.5 million in state grant money on what a top city official called significant improvements to traffic flow where Western Avenue and Federal Street intersect. A new traffic rotary, signal lights and other improvements are part of the roadway and infrastructure work planned around the future Market Basket site. Scheduled to open in September 2017, the $30 million project will give the popular retail grocery chain a Lynn presence and provide 400 jobs, with hiring preference for Lynn residents. 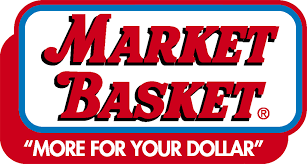 “There is no underestimating the importance of Market Basket and this is an opportunity to upgrade traffic improvements,” said Economic Development and Industrial Corporation (EDIC/Lynn) Executive Director James M. Cowdell. Councilors are scheduled to take a vote authorizing the state MassWorks grant spending tonight and Cowdell said initial roadway and infrastructure work will start this fall. Meninno Construction Co. of Lynn is doing site preparation work on the Market Basket site, including grading and shaping the future Market Basket parking lot and installing underground utilities. “It’s a great project for us and a sizeable project right in our backyard,” said Meninno President Nick Meninno. Tewksbury-based Retail Management and Development is the project developer overseeing the new store’s construction. The firm’s website describes how each of its developments are “anchored by a Market Basket store” with neighboring businesses on the development site. Site owner Charles Patsios said Meninno Construction Co. is already doing site improvement work on the former location of General Electric’s Factory of the Future. “He’s doing everything that needs to be done prior to the building being built,” Patsios said Monday. Cowdell said most of the traffic improvement work will be done by spring 2017. It will include building a rotary to improve traffic flow where Western Avenue and Federal Street meet. “Right now, five different directions of traffic intersect at that location. That intersection has been a problem for a long, long time,” he said. New traffic signals are planned near the Market Basket site on Boston Street and two on Western Avenue.